Park Geun-Hye was fined 18 billion won ($16.9 million), after finding her guilty of charges including bribery, abuse of power and coercion. Seoul: A South Korean court jailed former President Park Geun-hye for 24 years on Friday over a scandal that exposed webs of corruption between political leaders and the country's conglomerates. The court also fined Park, the daughter of a former military dictator, 18 billion won ($16.9 million) fine, after finding her guilty of charges including bribery, abuse of power and coercion. The court ruled that Park colluded with her old friend, Choi Soon-sil, to receive 23.1 billion won from major conglomerates including Samsung and Lotte to help Choi's family and bankroll non-profit foundations owned by her. The judge said Park had shown "no sign of repentance" but had instead tried to sift the blame to Choi and her secretaries. 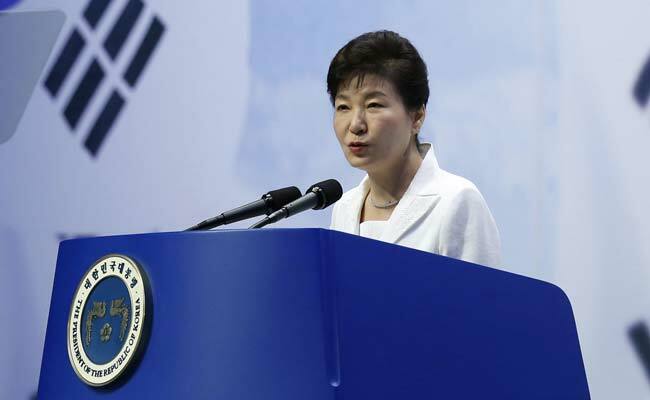 Friday's sentence dealt a bitter blow for Park, who returned to the presidential palace in 2012 as the country's first woman leader, more than three decades after she left it following the assassination of her father. Moon's office said Park's fate was "heartbreaking" not only for herself but the nation. More than 200 supporters gathered outside the court, holding national flags and signs calling for an end to "political revenge" against Park.